The John Lewis ad is almost here – and with it the official start of the Christmas period. Sure, it’s less than two months till Jesus’ birthday, but they do say it comes earlier every year. And we can’t wait. John Lewis’ ads Christmas ads have set the standard in festive advertising for years. But what makes its ads stand out from the rest? What’s the difference between a Christmas cracker and a turkey? Well, we thought we would look back at our database to come up with some insights on how to add some Xmas sparkle to your ads. ‘Nostalgia ain’t what it used to be’, goes the old joke. But it’s still a very powerful emotion in marketing – particularly at Christmas. After all, who doesn’t think about their Christmases when they were a child? The traditions. The presents. The memories. You only need to look at the success of Coca-Cola’s Xmas ad last year to see what we mean. The ad, which features stars from Channel 4’s hit show Gogglebox reacting to the fizzy drink giant’s iconic ‘Holidays Are Coming’ commercial, was top of the tree of the most effective Christmas commercials of last year, scoring better than 96% of the thousands of ads we’ve tested. Ever since the 1930s, Coke has played a key role in shaping how we think of Christmas today, while the jingle has been around for years. It follows a proud tradition of festive ad fare designed to make us think about the Ghost of Christmas Past. Other notable recent examples of ads which have used nostalgia well are Tesco and M&S. Christmas is an emotional time, when we are more likely to think with our hearts rather than our wallets. So, make sure your spot packs enough emotional punch to knock Santa off his sledge. 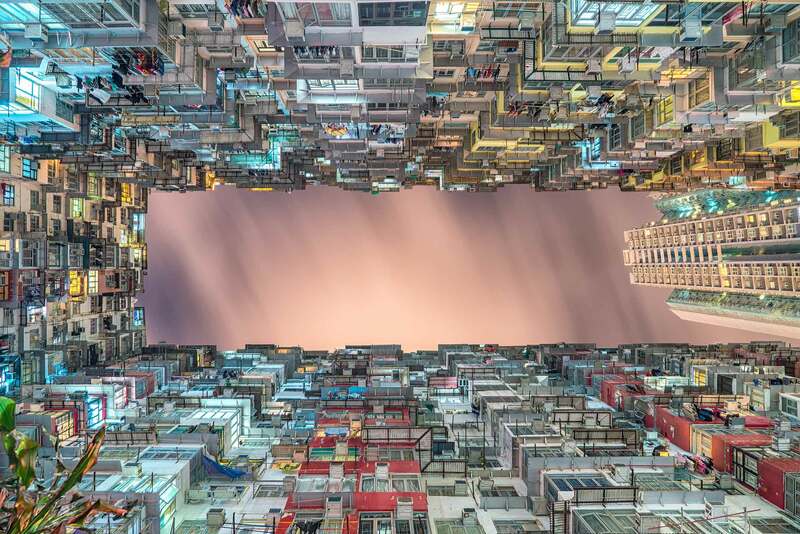 To have a real impact, your content should elicit a strong physical reaction from your audience. Laughter rather than just a smile; gasps rather than a just raised eyebrow; tears rather than a just frown. Only then will your spot get cut-through. So make sure you test your content before launching. Using Realeyes’ AI tech, you can find out in advance just how emotional your audiences will get watching your content. You will also get actionable insights on how to optimise your ad to make it more emotional. Coca-Cola, McDonald’s, Tesco, Virgin Atlantic, Not On The High Street and TalkTalk last year all gave an intimate, honest insight into the touching family moments and humour that comes with the chaos of Christmas. All of these videos achieved significant engagement, highlighting how authenticity can make a valuable connection with an audience. When analysing last year’s crop of festive ads, one theme that appears more frequently among the lower-performing ads is a prolonged focus on the product. While the videos with an EmotionAll score 6 and above tend to focus on storytelling, the videos with lower scores tend to allocate more screen time to a product demonstration. This approach is taken by Mulberry, Superdrug, JD Williams, eBay, and some others. A “shopping window” approach will not deliver as much engagement as a storytelling approach. 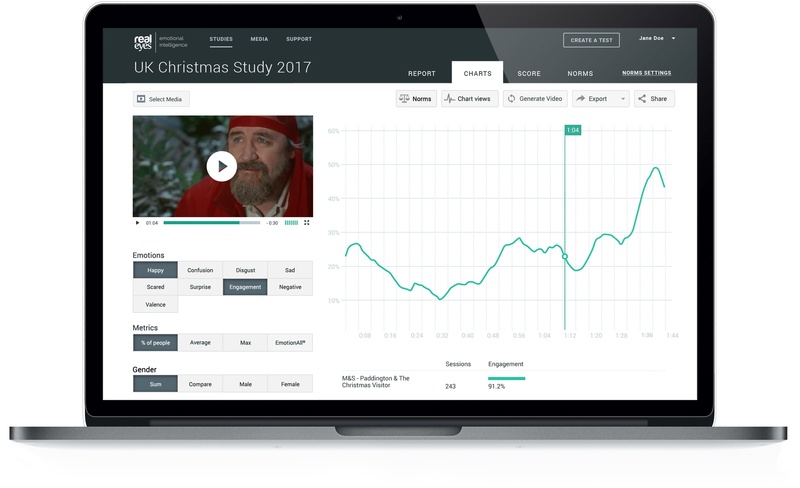 To find out how about how you can use AI to optimise the effectiveness and ROI of your Christmas campaign, why not download our white paper or our Christmas insights.